The mop of curls on the head of our neighbor Lucas is as golden as those on Le Petit Prince. Lucas came through the woods the other day bearing cookies. I would not have been able to give you a Baobab tree if I hadn’t watched Art Wolfe last night on Channel 10. Turning the corner from Walker Rd. to Cedar Hills Blvd. yesterday, where I once was given a $370. ticket for going into the far lane instead of the near one as I turned, I saw in the rear-view mirror the red-blue-red flashing light of an arresting officer. He was after the car behind me, it turned out, who was doing just what I had done six years ago, but I learned how the body knows and remembers: I could feel the flush of fear and anger flood my neck, right through my face. To respond to that preposterous fine, I went to the traffic court, pled guilty but asked to be allowed to work it off in Community Service. The Judge asked me to elaborate, and I explained that I wanted to volunteer on the switch-board at Hopewell House, an in-patient Hospice. 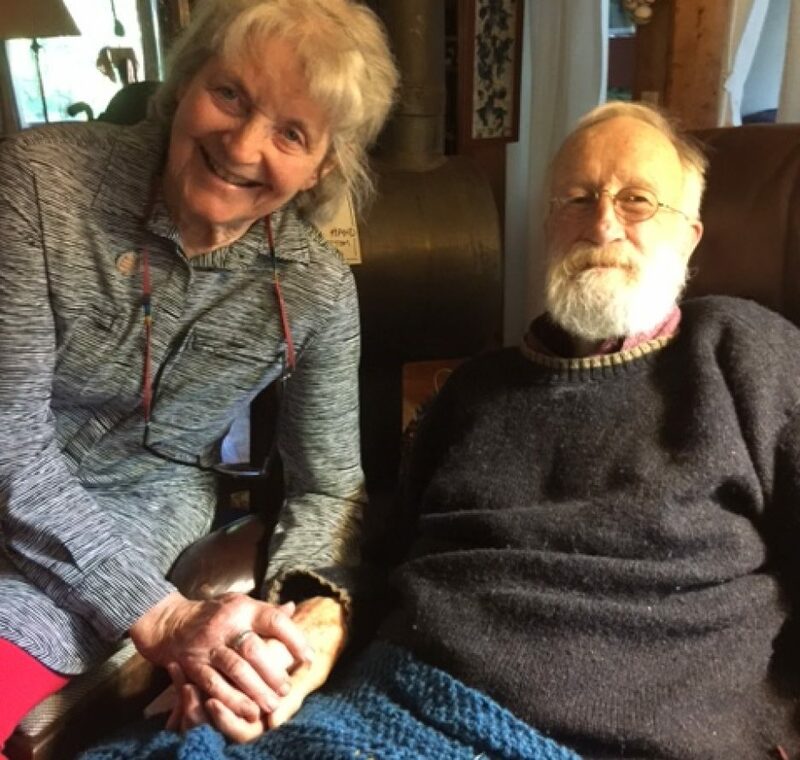 He granted my request, made a gracious comment about the worthiness of Hospice care, waived the fine, and I went off to do what I had been doing for several years. However, he required such a number of hours to complete my punishment that, as a friend pointed out, he was valuing my work at about $7 an hour. I didn’t care. But my body remembered the indignity and the fright, and taught me yet another piece about memory. Now, looking out across our porch at lunch on a Sunday, I see the old flag from Hansville waving its last unfurlings. like people who expect it to continue. I make plans for summer trips. the meaning of every shift of weather. If the creek don’t rise. I hadn’t understood it when he first said it. The mumble came from partly under covers. And I was immersed in a short story of Jane Gardam’s. I’d just started to laugh as I realized “The Sidmouth Letters” is a delightful tease, a very complex story and very funny. My laughter turned into one of those happy fits of laughing when you don’t stop for a while and in the end don’t really know what struck you so funny, and it doesn’t really matter. Maybe the moon had contributed. When I’d gone to turn up the heat at 6:50, just before dawn, there was the moon right where it had been yesterday at 5:30, up there over the trees through the high window over the front door from where I stood by the thermostat. In the story, the narrator, Annie, had just had a most ridiculous conversation with her great Auntie about the packet of letters Jane Austen had written to “the shadowy lover,” letters guarded for three generations and never read, and now finally, suddenly, given to Annie, literally tossed into her lap. Perhaps I feel delight at being able to think of all the people who can find the story and read it, and laugh, too. All the people I love who can be looking at that same moon. How this moment, wondering what word it was that Tom “wanted,” will never happen again, and will go on forever.